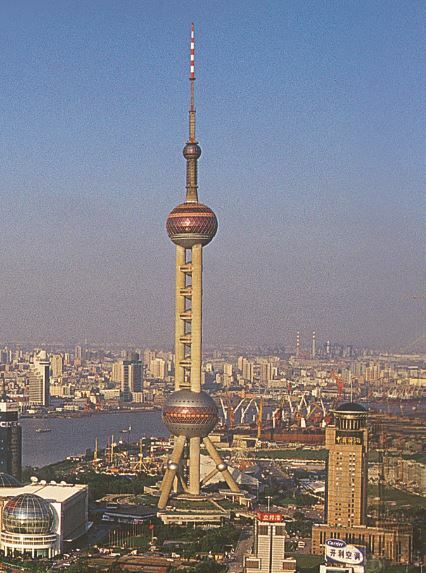 Below are the best places in Shanghai for entertainment, dining, shopping and sightseeing. Please contact the Concierge at (86-21) 6335-1888 x 7204 or email concierge-shanghai@westin.com to make reservations or for more information. They are happy to make your trip as enjoyable as possible. The Bund is Shanghai’s most popular attraction. 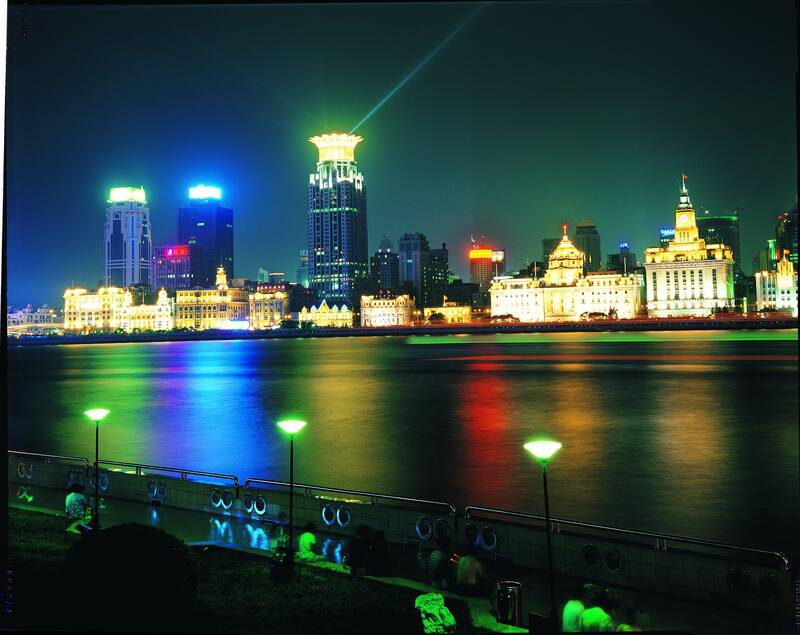 Located directly on the Huangpu River, it offers the most iconic view of Pudong’s contemporary buildings. Along the Bund itself is a row of historic 1937 architecture, which is even more magnificent when illuminated by its famous golden lights at night. The Bund also offers luxury shopping, restaurants, art galleries and bars and lounges. Covering five acres, Yu Yuan Garden is considered to be one of the largest and most lavish gardens in the world. It was created in 1577 by the Ming Dynasty. The garden features 30 pavilions linked by corridors, artificial hills, bridges over lotus pools and groves of bamboo. Surrounding the garden’s beautiful architecture are temples, shops, restaurants, art galleries and bars and lounges. Be sure to check out Shanghai’s most famous dumplings while you’re there. The Jade Buddha Temple remains one of Shanghai’s most popular attractions. It’s a traditional Buddhist temple that was built in 1882 to keep two very precious jade Buddha statues, which had been brought from Burma by a monk. While the temple was destroyed during the Qing Dynasty revolution, the two jade Buddha statues were preserved and a new temple was built to house them in 1928. XinTian Di is Shanghai’s premier urban attraction. It is unique because of its contrasting architecture. It retains the antique walls, tiles and other elements of the Shikumen housing of old Shanghai while featuring contemporary shops, restaurants, art galleries and bars and lounges. The Shanghai World Financial Center is currently Shanghai’s tallest skyscraper and is known for its ultra-modern architecture. The building consists of offices, hotels, restaurants, bars and lounges, and an amazing observation deck on the 90th floor that overlooks Shanghai. With a magnificent glowing ball in its center, The Oriental Pearl TV Tower is perhaps the most iconic building in Pudong. Inspiration for its architecture comes from a famous poem from the Tang Dynasty. The tower has a rotating restaurant and an observation deck on its top floor. The Qibao Ancient Town is a water town that has been preserved for over 1000 years. It was built by the Song Dynasty and was a very famous and prosperous market throughout the Ming and Qing Dynasties. The town offers great sightseeing locations as well as traditional shops, restaurants and galleries. Tianzifang is a pedestrian street featuring multiple shops that have been converted from old Shikumen houses. It’s a popular place to shop for traditional and contemporary Chinese art, ornaments and handcrafts. The street also offers restaurants, bars and lounges, art classes and photo studios. ERA is Shanghai’s most popular and successful acrobatic show. It combines both elements from traditional Chinese acrobatic arts with modern technology and special effects. Very much like Shanghai, the show reflects a merging of past and future. The Shanghai Ocean Aquarium is one of the largest and most diverse ocean aquariums in the world. It has the longest underwater tunnel in the world and features eight major areas of exploration (Asia, South America, Australia, Africa, etc.) with thousands of rare fish and other underwater species. The Shanghai Maglev Train is must-see for any visitor. It features a levitation train that reaches a record speed of 431kmph. It’s famous for being the first commercial high-speed train in the world. Shanghai Wildlife Zoo was the first national zoo of Shanghai. The zoo covers an amazing 150 hectares of space and houses over 300 species of animals and thousands of species of insects. The zoo also features performance shows, exploration activities and interactive games. Shanghai Happy Valley is a popular theme park that offers breathtaking attractions, including carnival games, roller-coasters, exploration areas and activities, and shows. It is divided into seven major areas, each with different themes. Dino Beach is Shanghai’s premier waterpark, featuring a variety of water-themed rides and games. The park also features Shanghai’s largest man-made beach and wave pool. Nanjing Road is Shanghai’s most popular shopping street, featuring hundreds of international and local shops, markets, restaurants and art galleries. The shopping street attracts over 1 million visitors daily. Times Square is a luxury shopping mall in Shanghai, anchored by Lane Crawford, D&G, Gucci, Esprit and Walter Ma. The mall also features an international supermarket and a cinema. Super Brand Mall is the largest shopping mall in Shanghai, featuring more than 100 international brands and a variety of restaurants and entertainment venues. Plaza 66 is Shanghai’s most luxurious shopping mall. The mall is also one of the tallest buildings in Shanghai, which has more than 66 floors. Many international brands have chosen this mall as the location for their flagship stores, including Louis Vuitton, Hermes, Cartier, Chanel, Dior, Celine, Escada, Bvlgari, Fendi, Loewe, Prada, Versace and Lanvin. Raffles City in Shanghai is an ideal shopping center for travelers of all types. The shopping center features midrange international and local brands including Miss Sixty, Roxy and FCUK. The shopping center is also ideally located near People’s Square, which has a cinema and a popular food court. The IFC mall in Shanghai is one of the foremost luxury shopping malls in the world. The shopping mall includes a variety of top international and local brands, and a range of exciting restaurants. The mall also features an international supermarket and a cinema. Ben Jia offers the most authentic Korean dining experience in all of China. The restaurant offers delicious marinated bbq meets prepared on fresh mountain coal, platters of fresh vegetables and other Korean dishes. The restaurant is fun, genuine and absolutely delicious. Whisk serves the best western deserts in Shanghai, from layered cakes to chocolate pizzas. The restaurant also serves decent Italian dishes, such as risottos and pastas. Bali Bistro serves the most genuine Indonesian dishes in Shanghai, from hot beef curry to deep-fried, peppered fish. Jean Georges is an award-winning restaurant in Shanghai, serving French cuisine in a refined environment with magnificent views of the Bund and Pudong. Whampoa Club is one of Shanghai’s oldest and most popular restaurants. The restaurant serves Shanghainese dishes that reflect Shanghai’s history and innovation – a deep respect for traditional cooking techniques with added drama and intensity in its presentation. Mr and Mrs Bund is Shanghai’s best contemporary French restaurant. The restaurant offers a relaxing and chic atmosphere and is located in a heritage building directly on the Bund. Built in 1998, M on the Bund is one of Shanghai’s oldest fusion restaurants. The restaurant is located in the historic 1921 Nissin Shipping building, offering a sweeping view of Pudong and Puxi. The restaurant also features a stylish roof terrace that is among Shanghai’s best hangout spots. South Beauty is a large upscale chain restaurant serving contemporary Sichuan cuisine. The branch in Shanghai is by far the most attractive, located inside a beautifully renovated Shikumen mansion. The restaurant is an absolute must-see/taste. Lost Heaven in Shanghai specializes in tribal Yunnan cuisine and is particularly known for its exotic décor. Di Shui Dong in Shanghai offers an inexpensive yet genuine Chinese dining experience. The restaurant serves delicious Hunan dishes (very spicy) in an unpretentious and rustic environment. Jesse offers a contemporary Shanghainese dining experience in a large cozy dining room. The restaurant serves traditional Shanghainese dishes such as eight treasure roast duck, complex wine marinated crab and sticky red dates filled with glutinous rice. Hong Kong Plaza No.283, HuaiHai Road, Huangpu District, Shanghai. The Shanghai Museum is the finest museum in all of China, featuring some of the oldest ancient Chinese art. The museum is renowned for the scope, depth and quality of its collections, and its magnificent architecture. Shanghai Science and Technology Museum is one of the most visited attractions in Shanghai. The museum is entirely interactive, featuring 14 multimedia exhibits that incorporate advance science and technology. The Shanghai Art Museum features popular arts from around the world, and is located inside a beautiful clubhouse that was built during the 1930s. The Museum of Contemporary Art in Shanghai (MOCA) is a private contemporary art institution in Shanghai. The museum features some of the most popular local and international contemporary art. Glamour Bar is one of Shanghai’s top clubs and is located directly on the Bund, offering an amazing view of Pudong and Puxi. The club is known for its shoe-shaped bar and extensive cocktail selection. M1NT is an exclusive lounge and club in Shanghai. The club is well-known for its long shark tank that graces its entryway. The club often invites some of the most popular DJs to perform at its venue. The House of Blues and Jazz is Shanghai’s best bar to enjoy live blues and jazz performances. The bar often invites some of the top blues and jazz artists from around the world to perform at its venue. Barbarossa is an iconic lounge in Shanghai. The lounge features a Moroccan décor and is situated in the middle of a beautiful pond. The lounge also offers hookahs and great music. The lounge is easily one of Shanghai’s most romantic spots for a date. Bar Rouge is the most famous club in Shanghai. The club is a must-see for those seeking to experience Shanghai’s nightlife.